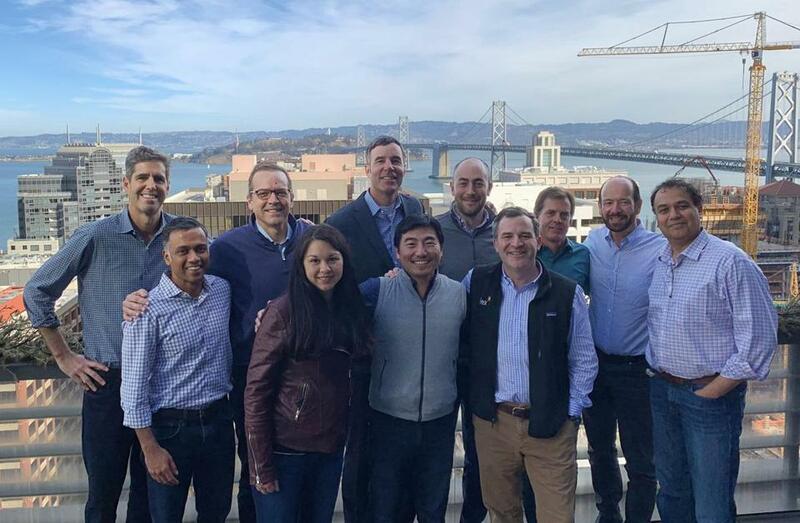 The investment team of Bain Capital Ventures met in San Francisco. Bain Capital is the latest financial firm to arm itself with a billion-dollar checkbook to invest in startup companies. The Boston private equity giant’s venture arm, Bain Capital Ventures, announced Wednesday that it had raised $1 billion for its latest fund. An early supporter of companies including Jet.com, LinkedIn, SurveyMonkey, and Rapid7, the firm last raised a $600 million fund in 2016. The news comes as the largest venture firms are raising increasingly large piles of cash to compete for stakes in highly valued startups, allowing the startups to stay private longer. In Boston this year, for instance, General Catalyst raised nearly $1.4 billion for its latest investment fund. And Battery Ventures announced it had raised $1.25 billion in two funds. But Enrique Salem, a managing director at Bain’s Bay Area venture office, said one of the most important changes to the fund’s strategy is a sharper focus on the very smallest companies. Bain Capital Ventures recently launched a network for “angel investors” who provide some of the earliest money for fledgling startups. Bain wants to use those connections to get into companies at the very beginning, when the potential investment returns are at their highest — and other investors may not yet have caught on. “You put yourself in a position where the entrepreneur gets to know the venture fund, what you’re capable of doing, and how you can help them,” Salem said.